The number one challenge facing technology in education is not pedagogy or access to devices — the number one challenge facing technology use in British Columbia’s schools is bandwidth. I was looking back at a presentation I gave in 2002, when I said, “We should think of Internet access like curbside garbage pick-up. It should be regular and something we can depend on.” A decade plus later not much has really changed for me. I simply expect when I load a website, open my email or launch a video, for that to simply work. In the past decade, my home access and my mobile phone access have improved to a point where I almost never worry about access or speed. The access in our schools is not so perfect. British Columbia does lead the country in Internet connectivity. Students increasingly have their own devices at school, and very often more than one. And, how they use these devices is quickly changing — no longer are they just consuming content, they are content creators. Even five years ago we lamented the spikes in bandwidth use at lunch and after school as students saw Internet use at school largely as a social tool. Current data tells a different story. Spikes in Internet use are now during class hours and less use before/at lunch and after school. Our teachers and students are trying to do exciting things with their digital access. We are seeing a boom in one-to-one initiatives, more etextbooks, inquiry initiatives in a digital space, video streaming and collaboration online between schools, districts and countries. My colleague from the Surrey district, Jordan Tinney, recently wrote a wonderful post on this very topic – Change is Just a Mouse Click Away . . . Or is It? The story often told is that we don’t have enough technology, or that teachers are not ready to make the pedagogical shift. Yes, those are factors, but not the ‘number one’ issue. Over the last two years we have ensured all staff in West Vancouver have access to a digital device of their choice, a topic I recently wrote about When Teachers Have Devices. Surveying these teachers at the end of last year, we learned that about one-third of teachers are looking for more support with the changing pedagogy of the digital classroom; about the same number referenced the need for more technical support, and close to 90% indicated improving Internet speed “needs to be a priority.” While it is tremendously exciting what is happening our classrooms, the spinning wheel in the middle of the screen can be a real downer. 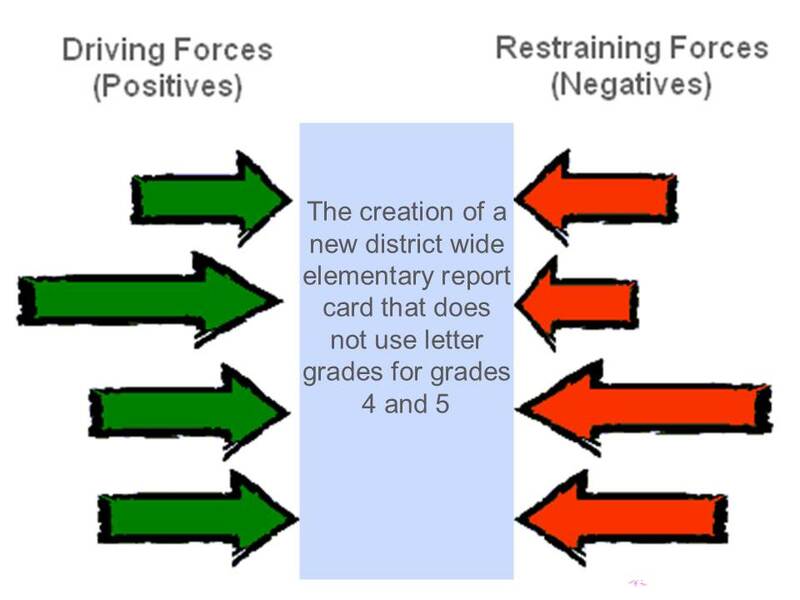 The West Vancouver School District is actually in far better shape than most school districts. 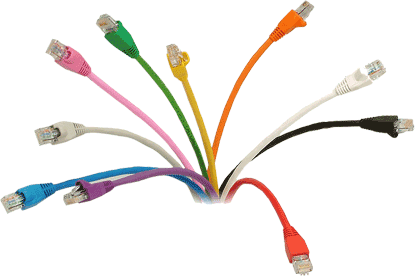 We have invested in fiber connectivity, upgraded devices, modernized the ‘behind the walls’ with our technology and are looking at traffic shaping (giving priority to certain types of activities on the Internet like the student information system) and still we are challenged. Looking at the next five, or even two years, there is going to be more outbound traffic. Classes are increasingly using data rich websites; video use is taking off; teacher collaboration in a digital environment is growing rapidly, and a new student information system for BC promises to provide amazing data at the touch of a key. In fact, in the very near future, I predict we will have more devices connecting to our network on a daily basis than we have students and teachers in our district. It is easy to identify challenges, but this is one with some solutions. The Provincial Learning Network (PLNet) provides “reliable, robust and safe network infrastructure enabling communications and the delivery of educational content to schools and post-secondary institutions in British Columbia” according to its website. It has served us very well. It has helped us give assurances to families around content filtering (such as students surfing the web). However, as school bandwidth demands are expected to increase 30% year-over-year, we need to either upgrade this system or move on to a new model. So, do we do it together as a province or 60 different ways as districts? And, as it often comes down to in education, who pays? As we scale the use of technology in our schools we will need to reduce and eventually eliminate the bandwidth barrier. Recently, I heard a speaker suggest that the global leaders in digital learning will be those with the greatest bandwidth. We are making a promise to create engaging learning environments for our students through personalized learning powered by digital access. We will continue accessing the Internet and we need it to be as reliable as heat, light, and telephone service in our schools. We also need to get on with this challenge — if we wait on it longer, there will only be larger barriers in the years ahead. I recently spoke on a ministry panel on this topic with the IT and Communications Working Group; a group that has concluded that moving forward requires a robust and upgraded provincial data network. AGREED! Last week, I had the opportunity to speak at the British Columbia School Business Officials (BCASBO) Fall Professional Development Conference. At that presentation, we explored some of the global trends in education and how the draft K-9 BC curriculum is a piece of a larger puzzle which will need to include changes in several areas including assessment and reporting. 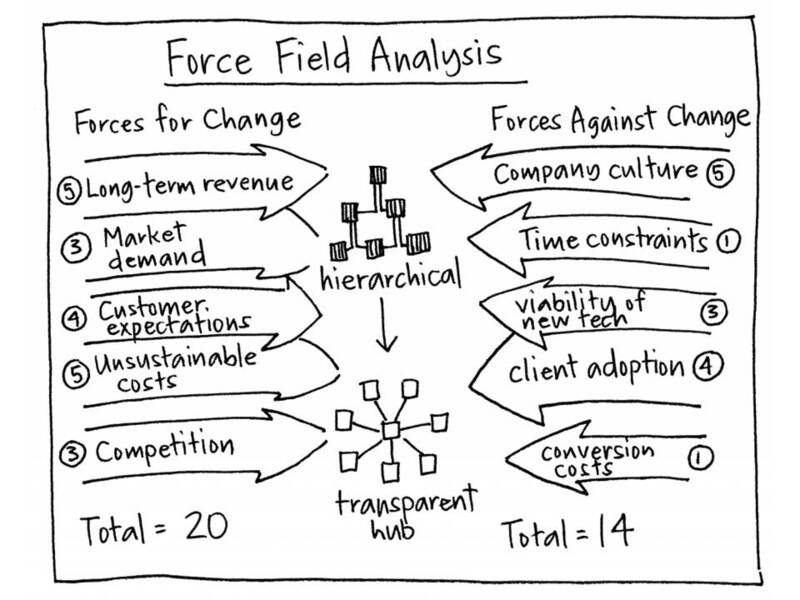 We took another 20 minutes to use a force field analysis to explore the drivers and resisting factors around change. 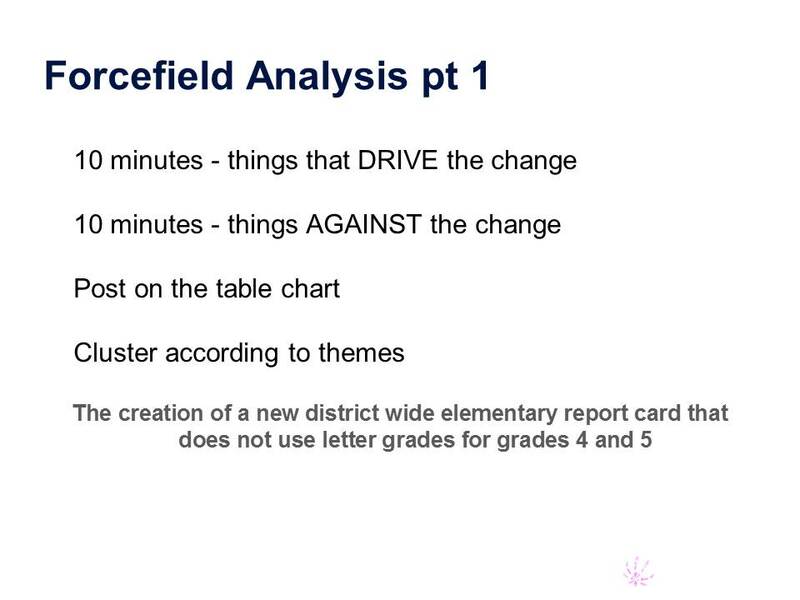 Since the presentation, I have had several requests for more details on using the force field analysis as a decision-making tool, so the following is more detail on how this tool can be effectively used in a variety of settings including education. I find it interesting that as a History 12 teacher I employed the same tool which allowed students to a better look and understanding of the political decisions countries made, but was reminded of it, a few weeks ago, when Rod Allen from the BC Ministry of Education used it for analysis with a large group. My thanks to Rod for the use of some of his presentation slides to help explain the tool. For supplies, you need chart paper, Post-it notes and enough markers for each person in the group. The activity works well in groups of no more than eight people. Group members are given time to brainstorm on Post-it notes the driving (positive) forces and restraining (negative) forces around the topic. It is best to focus on one item at a time, allowing 10 minutes to brainstorm the driving forces and then 10 minutes to brainstorm the restraining forces. In order to keep them separate, have people use different colour notes for the driving and restraining forces. Once everyone has had a chance to brainstorm items, groups work to cluster these items to a maximum of five key items. If the groups are small, this activity can be done as one large group, or one person can be assigned the task of clustering items for the entire room. When I had previously used this tool this is where I had left it — simply clarifying and solidifying the key elements for and against a topic. But, I really like what Rod Allen did when taking this strategy further — once both sides of the five areas were identified, the room voted on the level of importance of each area. A 5 point scale is used with ‘1’ being not so important and ‘5’ being very important. This could be done through a conversation and in a large room where people could show 1-to-5 fingers and the facilitator could scan the room for a majority. A value is assigned to each factor and the final numbers are tallied on the driver side and the restraining sides with each side showing a range between 5 and 25. In reviewing the scores, the group has a quick sense of the ease/difficulty of the potential for change. If the drivers are well above the restraints in strength, this is likely an easier change; if it is the opposite, it is likely that more work will need to be done to improve the strength of the drivers or mitigate the restraining forces. 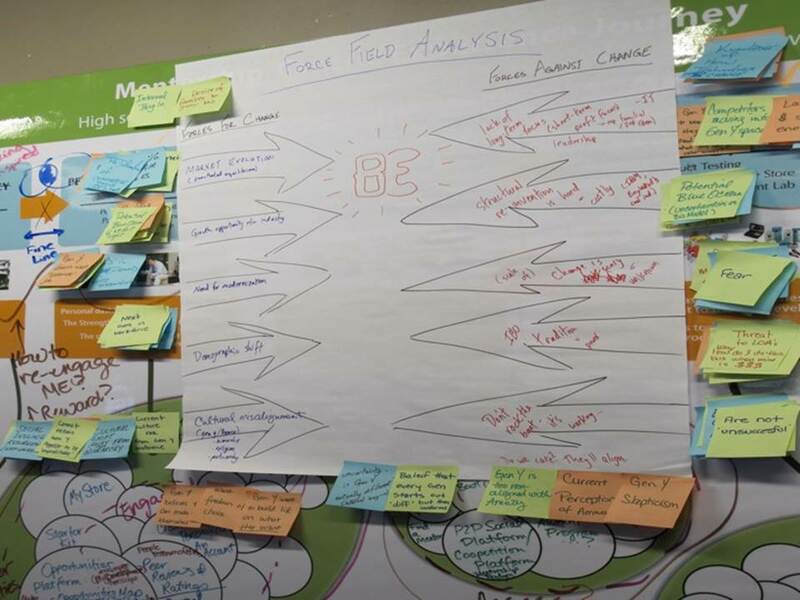 The strategy is nice because it can be completed within 45 minutes and it gives the group a clear view of the factors for and against change. For those who enquired about a detailed explanation, I hope you give this strategy a try and I would be interested in knowing how effective it was for your group. More details on using the strategy are available here. Just two years ago, I was able to make a list of all the BC educators who were blogging. Since then, the numbers have grown exponentially with numbers well into the hundreds of teachers, administrators and others who blog on a semi-regular basis. It is wonderful to see how many people are sharing their thoughts publicly and modeling for our students the ethical and responsible use of technology, whether it is to build relationships or on how to share their thoughts. While I have continued to attract more readers to my blog over the year, one trend I have seen is the number of comments on the posts are decreasing. In past years, posts like this one on school sports and this one on learning in depth generated dozens of comments. Now, I only receive one or two comments on a post. This, of course, has made me wonder why? My posts aren’t as interesting — Admittedly, I don’t write for the purpose of getting feedback. I write about topics for a variety of reasons — mostly, I really enjoy the process of trying to work an idea out and put my thinking down and share it. It is very possible that my posts aren’t as interesting or as engagement-worthy as they once were. It is easy to default to writing safe posts. Having had some of my words taken out of context and republished elsewhere, I am more conscious now of what I say and how I say it, and it may be limiting the quality of what I write. My position limits discussion — It is a real challenge to write about education from inside the system and then invite discussion. While I know my posts are well-read inside the school district, almost all of the comments come from outside the school district. I also get it is a no-win situation to comment on a blog written by the Superintendent whether they might be challenging my ideas or supporting them. The novelty has worn off — Blogging was new and fresh three years ago, but this novelty may have worn off by now. We are an ever-changing social media society. Perhaps I need to crank up my Instagram presence to increase engagement? I am not doing my part to participate — My commitment when I started blogging was that for every post I wrote I would comment on three others. I think it is part of “the deal” about being a member of the community. Over the last several months I have not lived up to this. I do feel bad about this. I read so many interesting posts, so many that help shape my thinking, but I don’t often take the time to write a quick response. Twitter love is the new blog comment — We seem to be shortening our thinking to 140 characters. Perhaps a quick comment on a RT (Retweet) is all that can be expected now. So much to read, so little time to write — With the huge growth in the number of people blogging about education, it is exhausting trying to keep up. Some People Aren’t Nice — It only takes one time to be personally attacked for a comment on a blog, and that person may never come back. While education is a pretty safe landscape, there are some who move quickly from challenging ideas to insulting people. Perhaps this is the reason why I see so many comments on my blogs I share on Facebook — it is a “safer” community with the authentication of IDs. 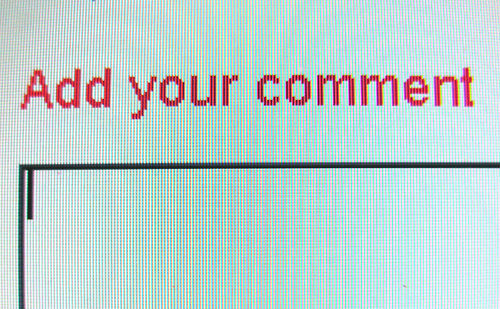 We Aren’t Good at Commenting — Commenting is difficult to do. It is something that takes a lot of time when working with students and blogging. When we (students or adults) comment we want to be respectful, make a point that contributes to a conversation and say something to continue the conversation. I do see the trend across many education blogs of fewer comments. The danger is that without dialogue our blogs become newsletters. And, it is the conversations around our blogs which keep them and the ideas alive. It is great if these conversations happen around the water cooler, or the dinner table, but one of the real attractions to blogging for me is to have thoughtful discussions about interesting topics in the public realm. I will try to do my part to re-engage with other blogs and be a more regular commenter. The move to transparency with digital writing is something we should continue to support. Any other theories why the commenting in the educational blog world seems to be drying up? Checking in on the blogs across the district is a useful way of getting a sense of the topics that are being highlighted this fall. I have written several times about the power our schools are finding using the blogs to connect to the community. At some schools they serve as a news update, at others they tackle issues. Our metrics indicate they are very well read. Bowen Island Vice-Principal and Program Builder for the outside45 program Scott Slater recently looked a the challenge and opportunities of going deep on a particular topic and the value of extended field experiences – all particularly relevant with the recent release of new draft curriculum in B.C. We assess the value of things constantly. Is it worth the cost? Is it worth the time? For teachers, the latter question, “Is it worth the time?” is an ongoing concern. Teachers look for a balance between spending enough time on topics so that students can thoughtfully and thoroughly understand concepts, and retain this understanding for the long-term, with obligations to teach many learning outcomes deemed important by the BC Ministry of Education. Students are also asking the question is it worth it? Is it worth my attention? Is it worth my effort? If a teacher spends too much time on a concept, student interest might decrease; if they do not spend enough time, retention may not occur. We have been looking at our classrooms and students through a different lens. We have become aware of the need to include regular breaks for our students. We are examining what and when students eat and drink. Transition times, going from one lesson to the next or moving from one room to another, are used as opportunities to get some sensory work or refocusing done. Staff is also working hard to reframe how they see behaviours. These understandings are then used to help students identify early signs that they need to choose a strategy to help them self-regulate. This comes naturally for some, but for others it is a skill that needs to be taught and practiced. It has been great to learn as a team and use the new information to make a difference in how we teach and how students learn. Staff is explicitly talking about and teaching to everyday opportunities and challenges. Self regulation is embedded into our daily work. Our teachers are having rich conversations and asking thought-provoking questions. What can we do to help students flourish? What stressors and triggers are within our classrooms that impact student learning? What strategies might be effective in dealing with these stressors? What tools and resources are available? Authentic audiences spark a sense of meaningful work and pride in their learning that simply isn’t there if students are asked to present their learning on a poster that gets hung in the school hallway. (Of course, for younger students, the hallway audience can be just as exciting as they are eager to share their work with parents and friends.) Teaching students how to engage safely in conversations beyond our walls is of absolute importance and allows for authentic “teachable moments” about cyber safety as an extension of their learning work through technology. This shift towards students bringing a laptop to school as part of their school supplies is provoking some thoughtful conversations and it all comes down to both parents and teachers wanting the best for students. That’s a pretty great conversation to be having. I also remember how as students we were constantly encouraged to speak French beyond regular classroom interactions; in the hallway, the gym and on the playground. As a teacher, I find myself in that same position, pretending not to understand when a student asks me a question in English until they ask me in French. If only my former teachers could see me now? Strangely enough some of my past teachers have been able to see me now, former PJ teacher M. Yin and the mother of Mlle. Macdonald were both teachers while I was at Cleveland Elementary and Handsworth Secondary. As we want students to experience learning that is more actively engaged and applied, we need to design learning experiences differently. Students need to be curious and inquisitive (inquiry) and they need the tools to explore divergent ideas and to dig deeper into areas that will be unique and personal (digital access). Inquiry and digital access can help us move our students learning become more active and applied. West Vancouver School District sits on the Squamish Nation traditional territory. It is our responsibility to teach our students about the history of this place and its people, including the Residential Schools and their impact on many of our Squamish community members. With the help of our Squamish colleagues, including Rick Harry (Xwalcktun), Bob Baker (Sa7plek Lanakila), Faye Halls (Yeltsilewet), Wes Nahanee (Chiaxen), as well as Deborah Jacobs (Snítelwet), Head of Education for the Squamish Nation, we are working to improve our curriculum and program implementation with an authentic focus on the indigenous principles of learning. With a large population of non-aboriginal students in West Vancouver, it is important to improve their knowledge of local culture and history. Aboriginal Education needs to become a part of the regular curriculum so that it is more embedded in daily work. This year, we will continue with our goal to increase our students’ understanding of First Nations’ issues seen through the Aboriginal lens. These are just a sampling of the stories that our staff are telling for their school communities and the world. And while they offer insight into their individual schools – they speak to so many of the larger themes of the district: self-regulation, inquiry, digital access. They also cover other emerging areas of growth including our relationships with the Squamish Nation and the power of outdoor learning. It continues to be an honour to be part of a community that takes the risk to share and reflect in the public space. Blogging is not an easy task, but the stories help grow our community. 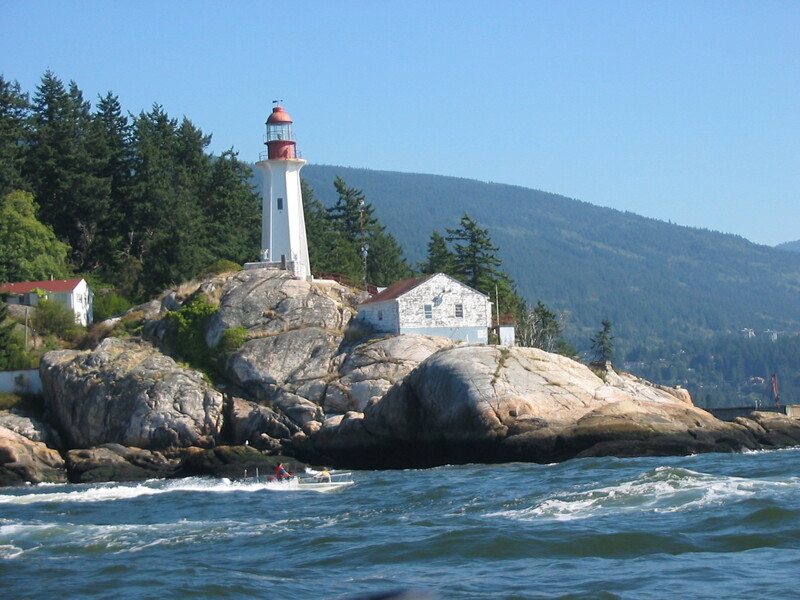 The entire West Vancouver social media community can be tracked here – all in one place.